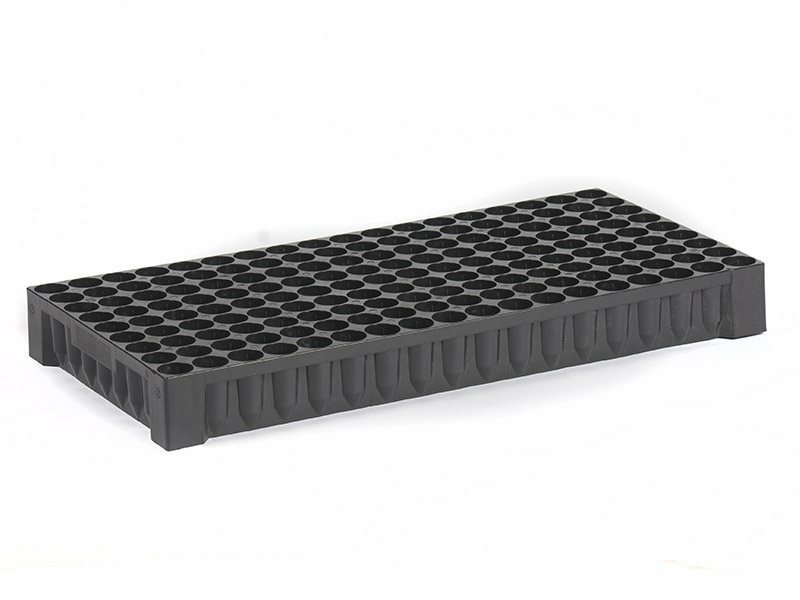 Nesting tray designed to hold stabilized media plugs such as an Ellepot. 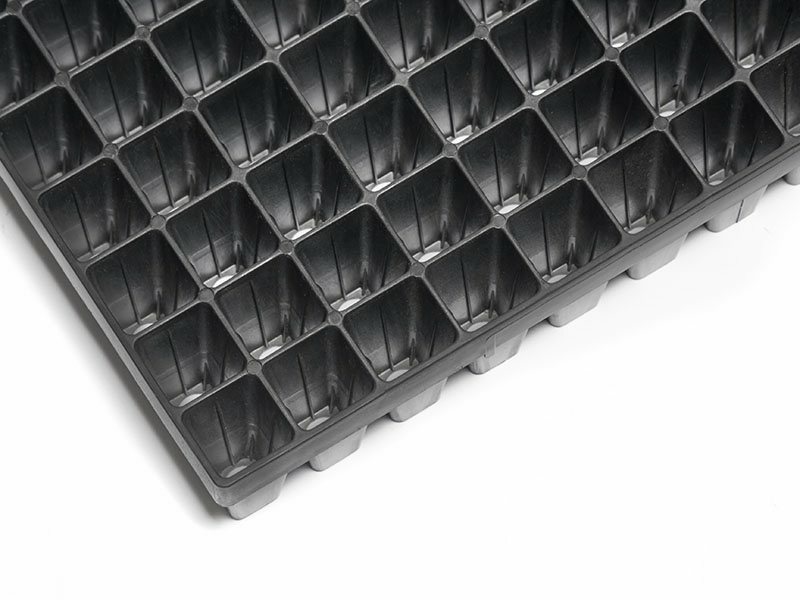 One tray for both stacking and nesting orientation: Can be nested for storage and transport and can be stacked when loaded with Ellepots. 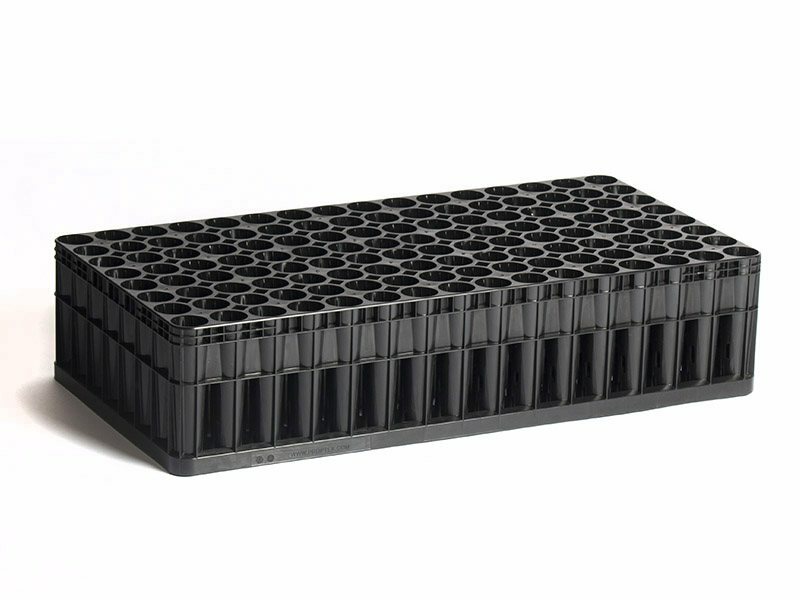 Designed to ensure air pruning of the roots, resulting in a healthier and stronger plant. 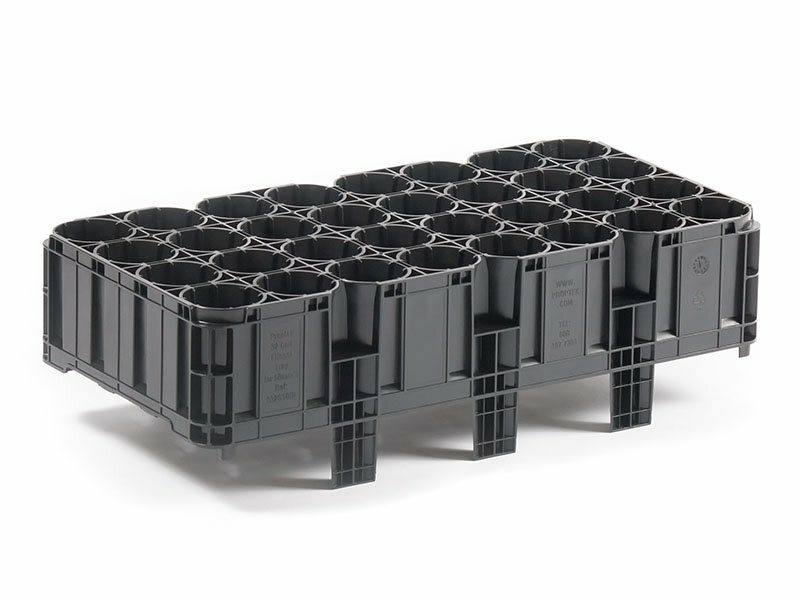 Accepts 30mm or 35mm diameter Ellepots. 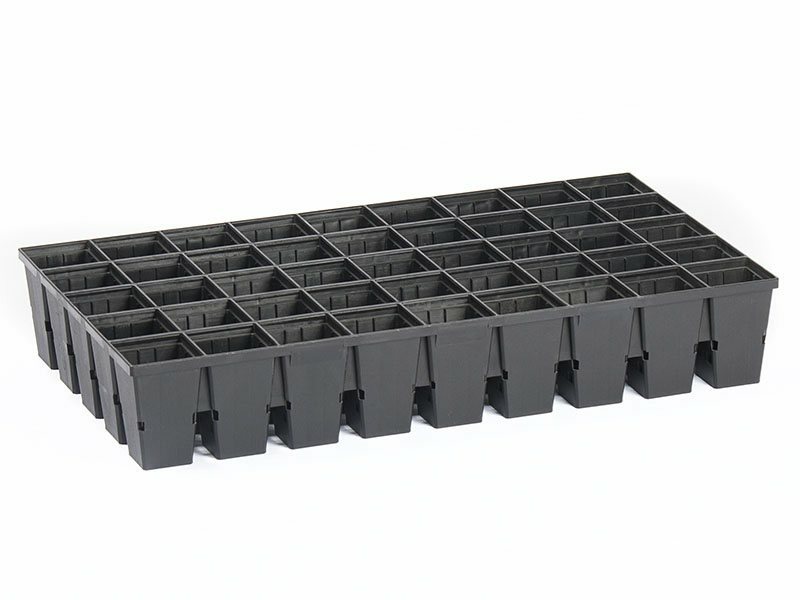 Built-in benching system with feet on cell base. 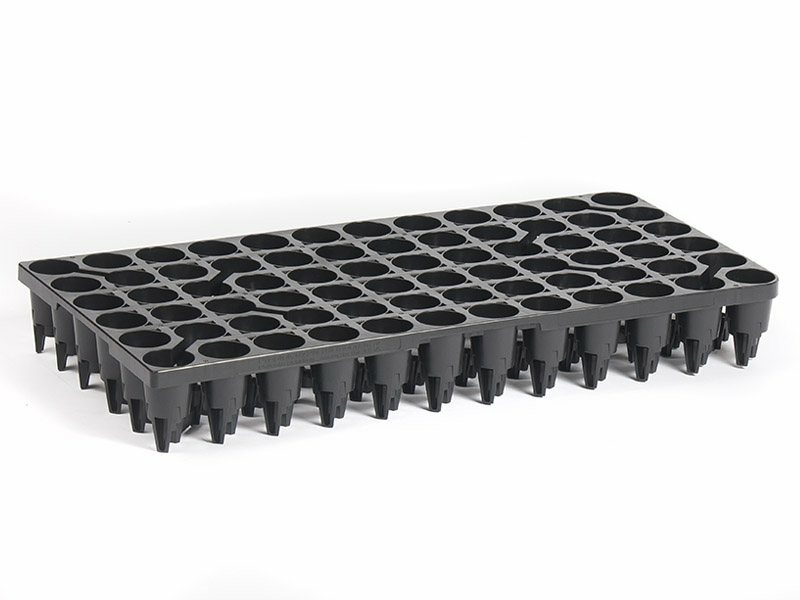 Open sides to improve aeration and drainage producing an ideal microclimate for rooting and air pruning. 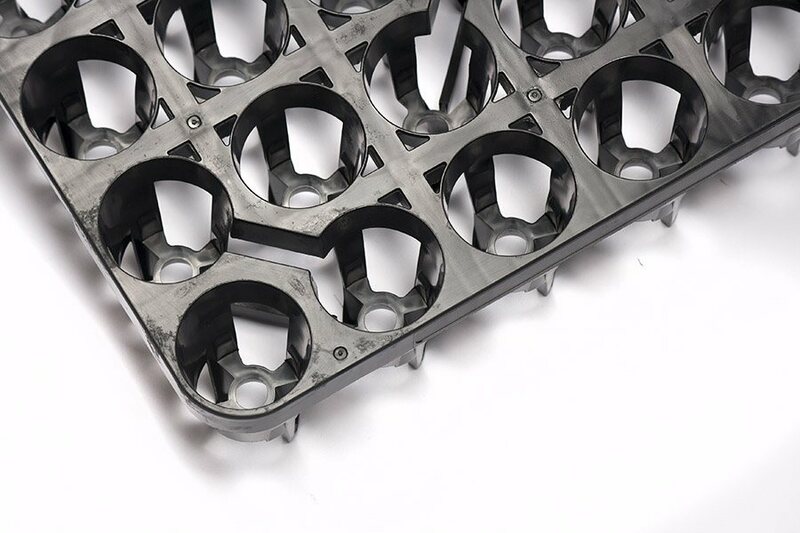 Cells have central base holes for easy ejection of plugs. This nesting Ellepot tray holds a 30mm or 35mm Ellepot and is especially suited to smaller landscape and woody ornamentals that don’t need require rootballs. 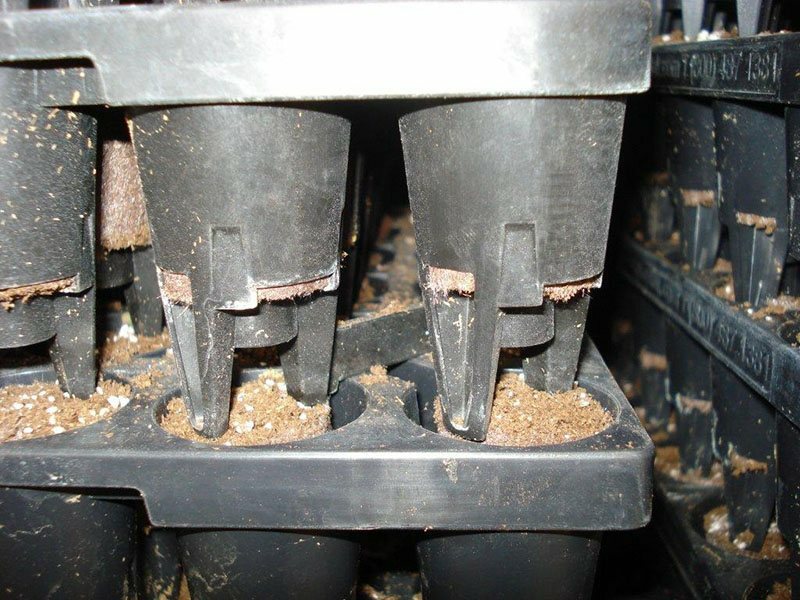 These sized Ellepots also work very well as a first stage that is then bumped up into a larger diameter Ellepot, such as a shallow 80mm or 100mm. 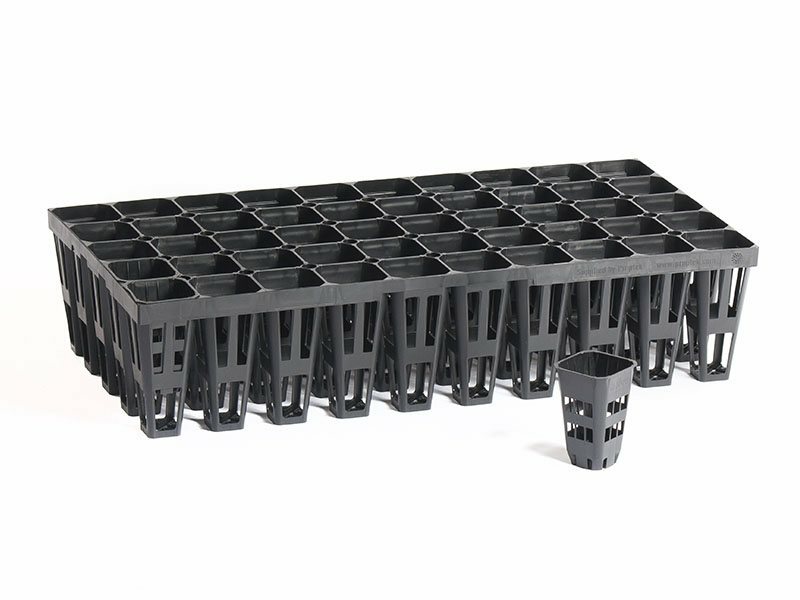 The specialist design nests very closely together to vastly reduce freight and storage costs, but stacks securely for when full of Ellepots to help create a stable stack of trays that can be then efficiently moved around the nursery. 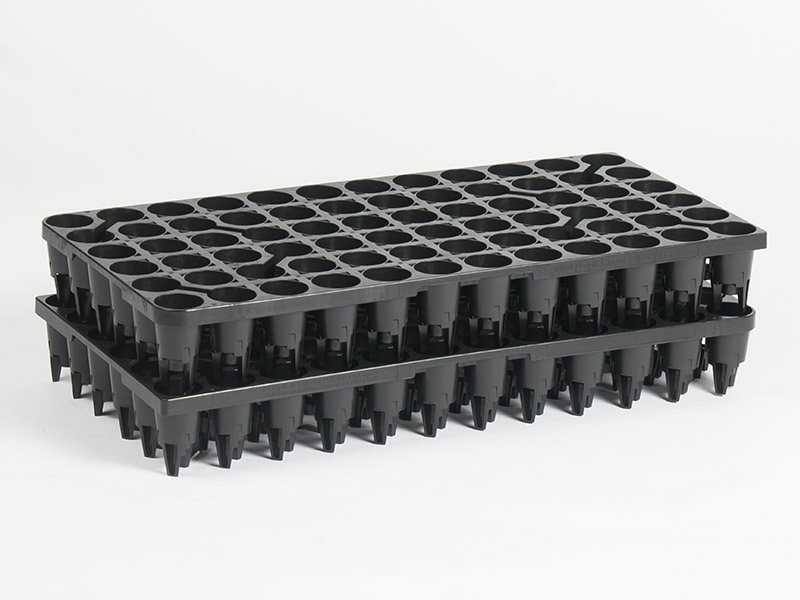 The main benefit of the Proptek/Ellepot propagation system is the amount of efficiency savings that can be made throughout the whole propagation process. 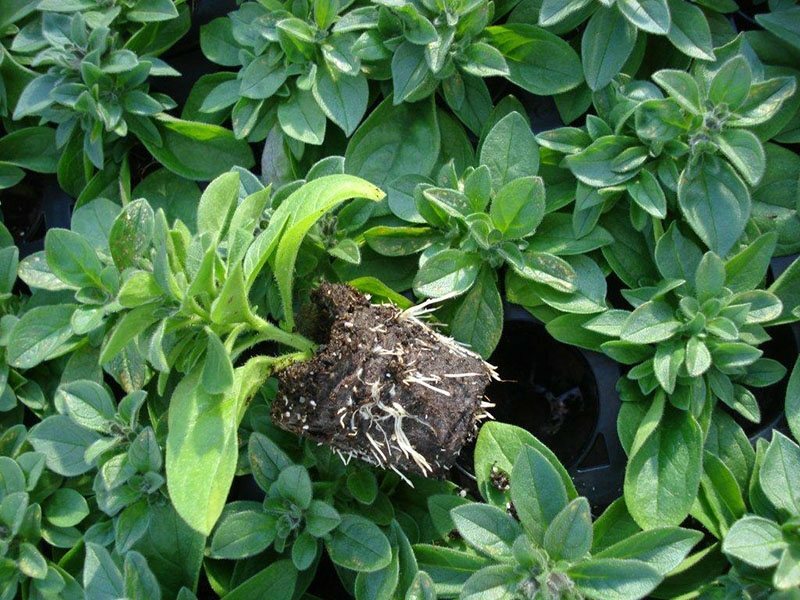 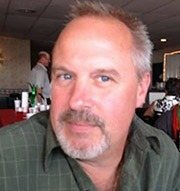 Plants become much easier to work with and are often higher quality when they leave the nursery. 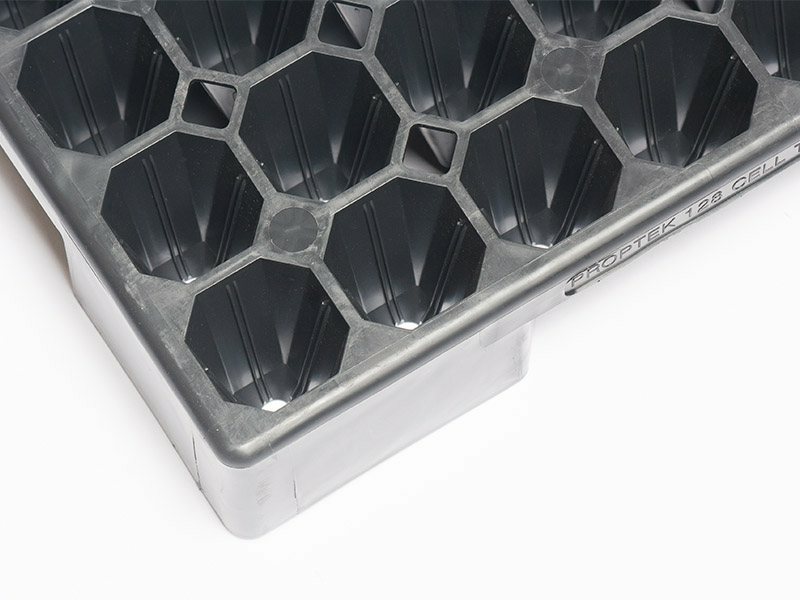 The tray features small feet to elevate plants off the ground to improve aeration and drainage of the Ellepot and ensures great air pruning to create a non-circled, fully natural root system. 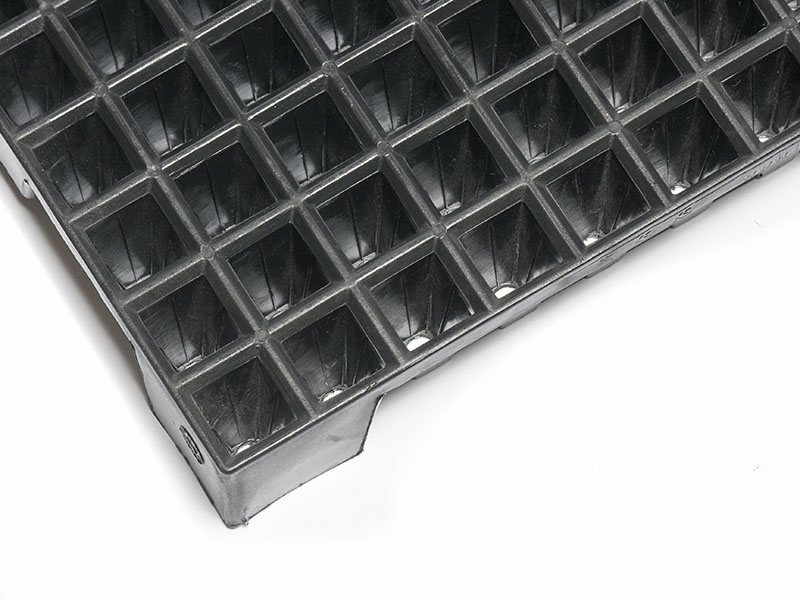 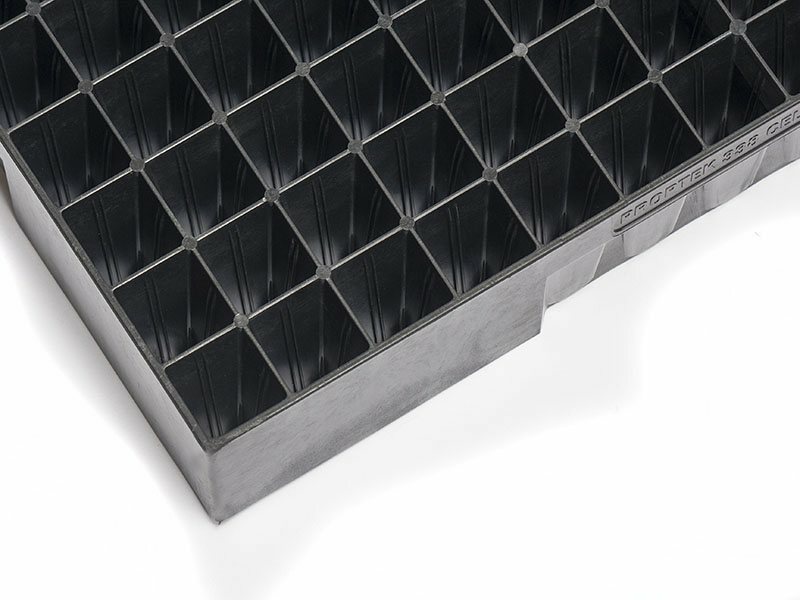 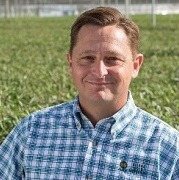 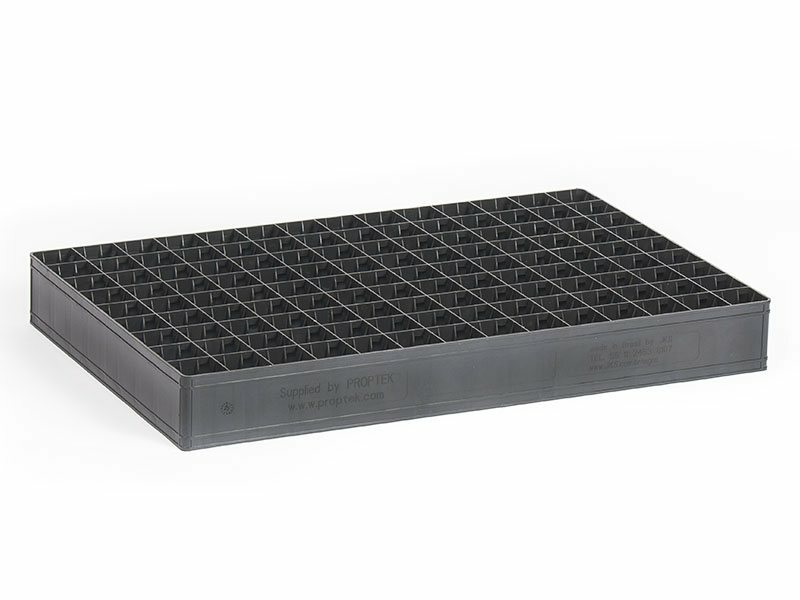 This propagation tray is made from injection molded plastic, ensuring they last a very long time – no more throwing out Styrofoam or flimsy thermoformed plastic every year.